Join Frost Science clean up Virginia Key and the City of Miami. 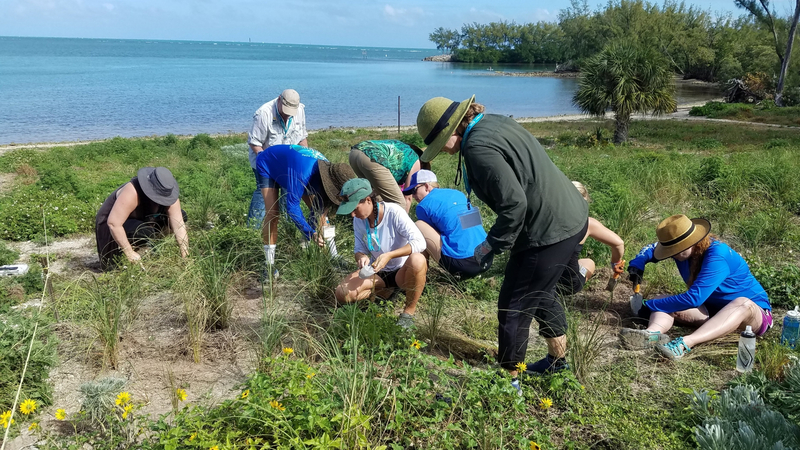 Join Frost Science as we work on several citizen science activities at the Virginia Key North Point restoration site. Marine Debris Cleanup: Volunteers collect trash from the beach and log each item using Marine Debris Tracker and Clean Swell, free smartphone and tablet apps. Biodiversity Monitoring: Volunteers observe newly planted trees throughout our restoration site as well as observing native wildlife. Observations may be logged with iNaturalist – another smartphone app. Native Vegetation Planting: Volunteers plant trees and grasses to enhance native habitats. Taking place once a month, MUVE Volunteer Workdays are excellent opportunities to make an immediate impact on the environment by investing your time in one of our several restoration projects. Volunteers must only commit to a single workday at a time but can choose to do so regularly. Enter Virginia Key North Point Trails in your GPS. Look for us at the top of the dune.